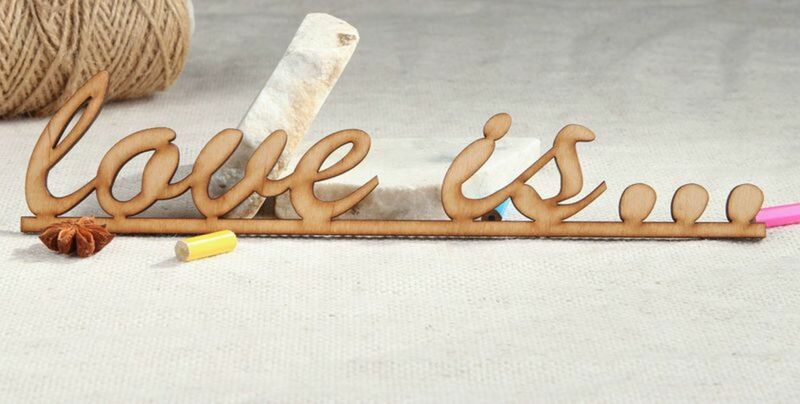 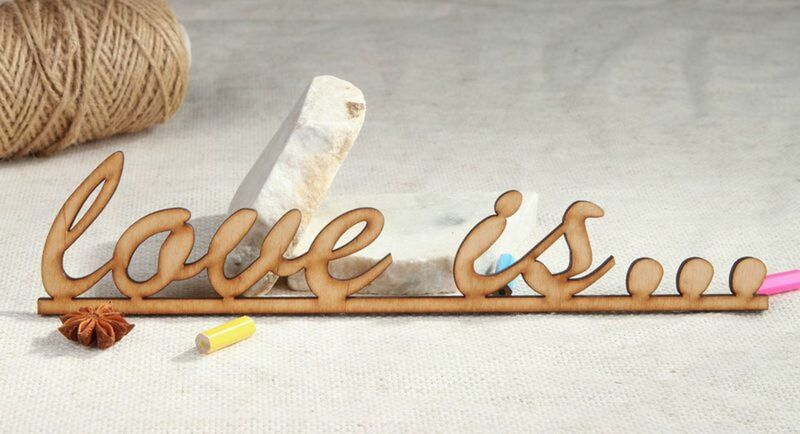 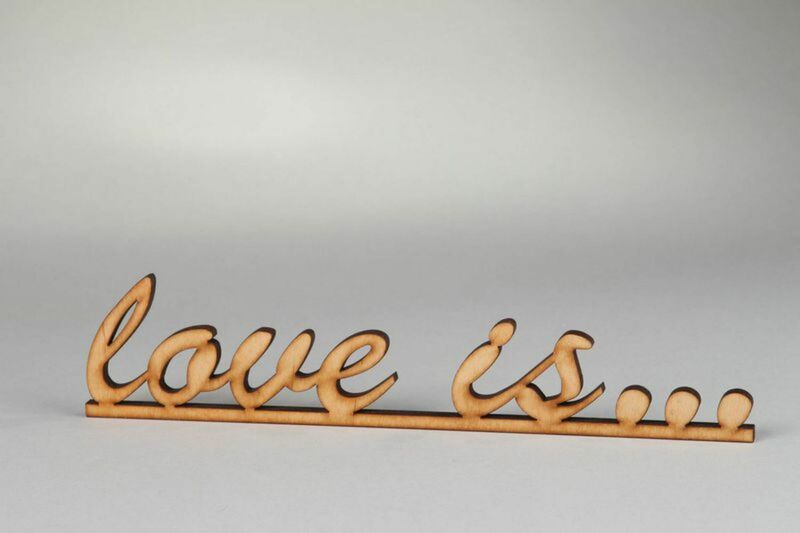 MADEHEART > Chipboard lettering "Love is..."
Are you making a gift for your beloved person? 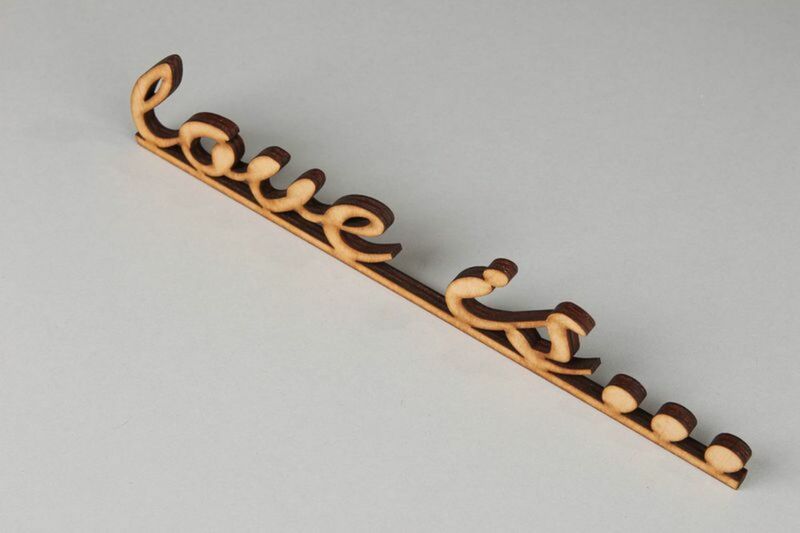 Add this wooden element to express your feelings. 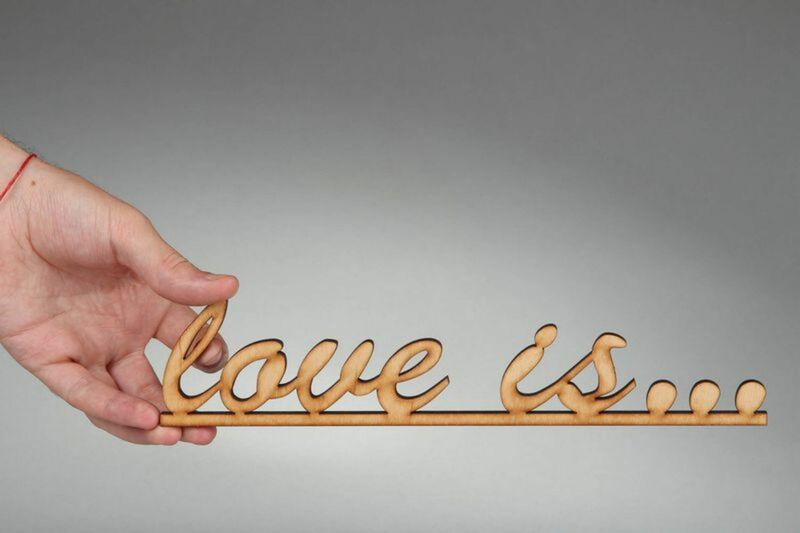 Chipboard is cut from fiberboard with the help of laser-beam.